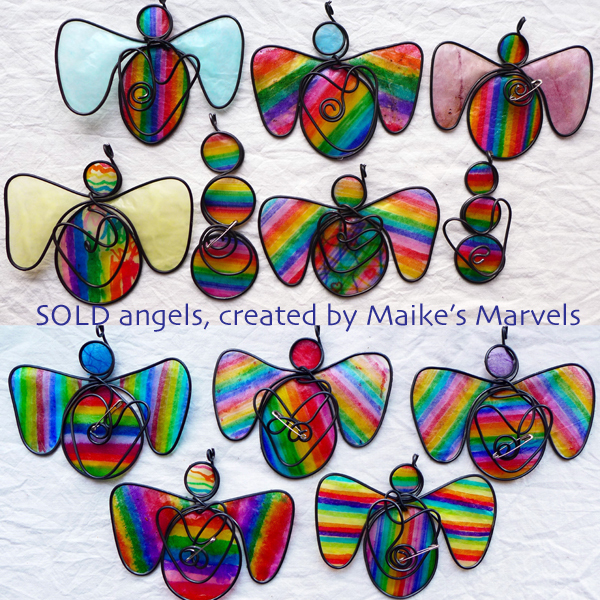 In response to the election, I started to make a bunch of Rainbow angels. This cutie has pastelÂ rainbow stripes and dottedÂ wings to send love out in the world. 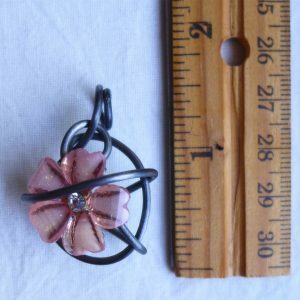 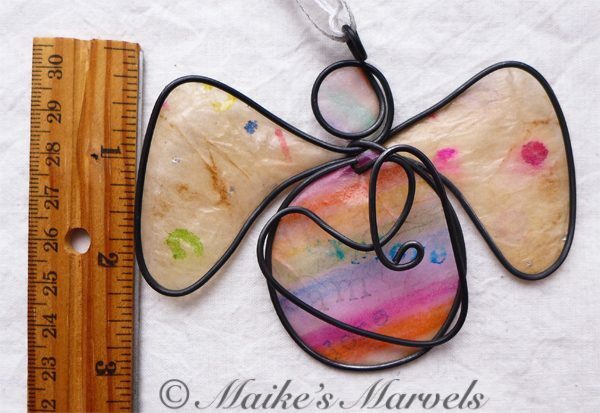 It can be hung in the home year-round or on a holiday tree in December. 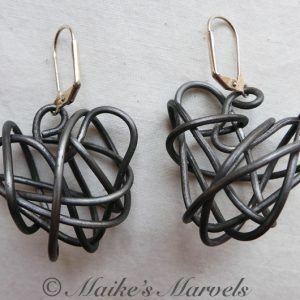 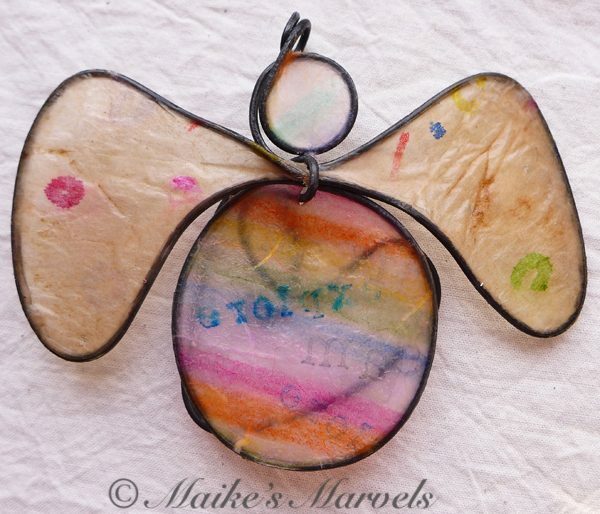 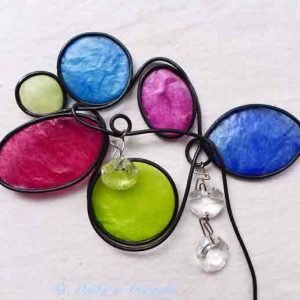 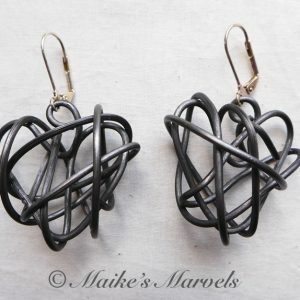 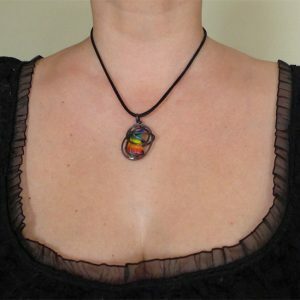 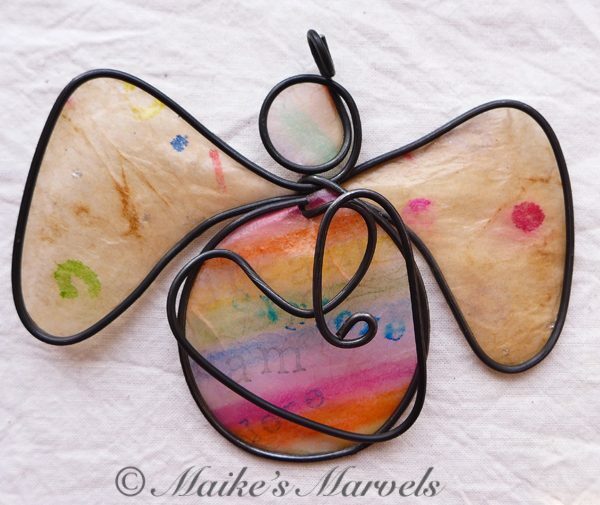 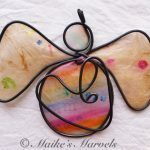 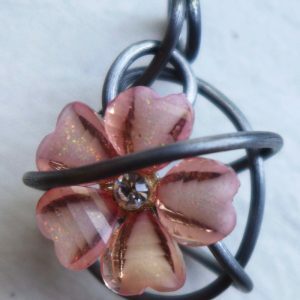 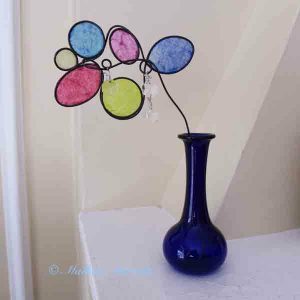 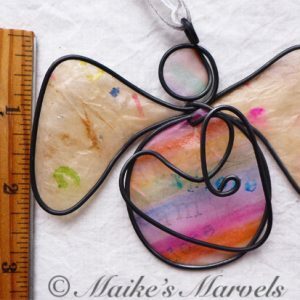 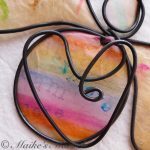 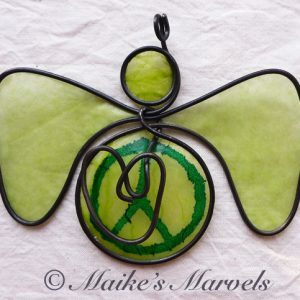 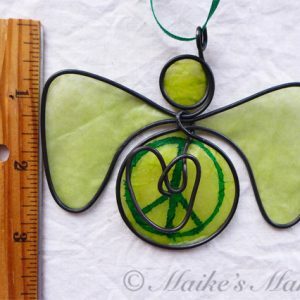 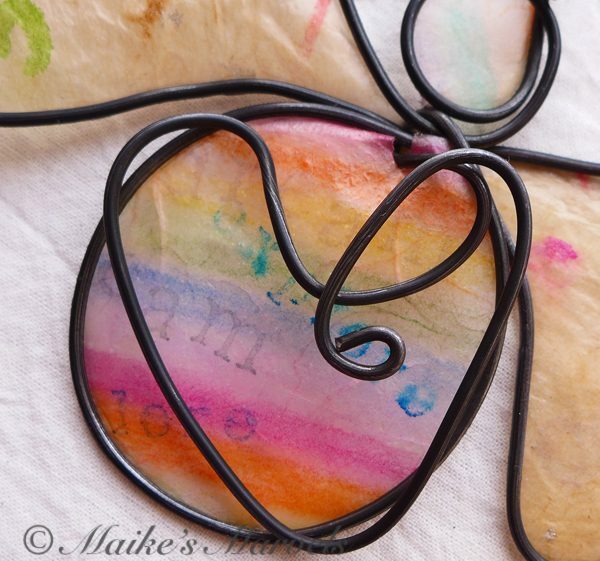 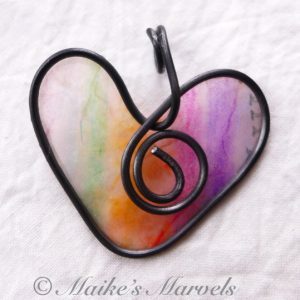 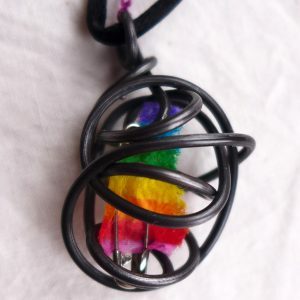 Steel wire has been hand-bent into the angel and heartÂ shape, after which hand-colored and hand-stamped tissueÂ paper was attached with encaustic medium. 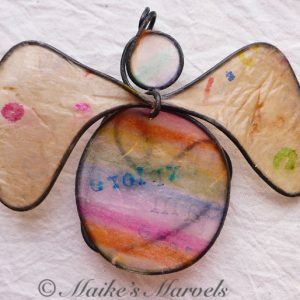 This one has the words dream and explore stamped on it, and the teabag wings are colored in ink dots. 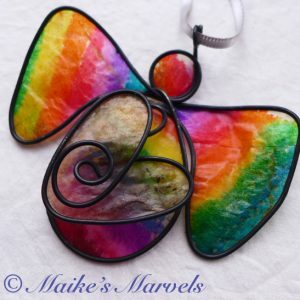 It comes with a silverÂ satin ribbonÂ for hanging. 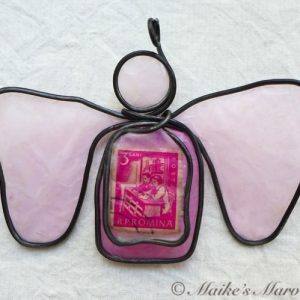 This angel measures 3Â 1/4 by 3 3/4 inches.